The American Orchid Society will provide leadership in orchids. The American Orchid Society's mission is to promote and support the passion for orchids through education, conservation, and research. Increase member satisfaction and participation. Extend the knowledge, production, use and appreciation of orchids. 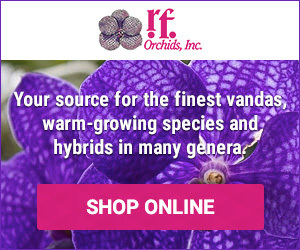 Support the preservation and perpetuation of orchid species. Organize and maintain an orchid judging system. From our founding in 1921, the AOS has been the go-to resource for orchid growers of all stripes. 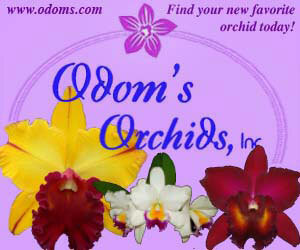 Many members are hobbyists who enjoy growing orchids and want to learn more about them. Others enjoy the thrill of exhibiting their orchids in shows hosted by local orchid societies. And still others aspire to become an orchid judge. Many are interested in the latest hybridizing trends, others in protecting orchids in the wild and still others in research that advances orchidology. From our award-winning Orchids magazine to the well-attended educational Webinars about all things orchid…from the expert speakers and outstanding vendors at the popular AOS members meetings to the highly respected system for awarding orchids of superior quality…from our conservation initiatives support to our research projects sponsorship…the AOS is the connecting place for people whose common interest is the orchid. A single plant horticultural society approaching 100 years old, the AOS is a 501(c)(3) nonprofit organization governed by a volunteer Board of Trustees and Executive Committee. AOS headquarters are located on the grounds of the Fairchild Tropical Botanic Garden. An organization is only as good as its members. The AOS is deeply indebted to the many talented and dedicated volunteers who give their time and service to encourage a widespread interest in orchids. They advance the mission of the AOS more than they will ever know. In 1921, Blanche Ames designs the official seal of the American Orchid Society which is still in use today. It features a Native American admiring two orchids of the Americas - Phragmipedium caudatum and Encyclia tampensis. In 1922 Dr. Lewis C. Knudson invents “Knudson C” orchid flasking medium allowing for aseptic germination of orchid seed providing reliable populations of seedlings. In 1924 Harvard professor Oakes Ames and his wife, Blanche, publish a compendium of orchids found and grown in the U.S., An Enumeration of the Orchids of the United States and Canada. “The Great Orchid Exhibition in Boston,” the first AOS orchid show, is held May 8 –11, 1924 at the Horticultural Hall. To meet a need for education about orchids, the AOS publishes its first periodical in June 1932. Then known as the AOS Bulletin, now Orchids, the Magazine of the American Orchid Society, it has become a full size glossy publication with articles of interest to growers of all skill levels. Recognizing a need for regional representation, in 1946 the AOS charters the Cleveland Orchid Society as its first Affiliated Society. Today there are more than 400 affiliates for which the AOS provides services and benefits. In March 1949 the Committee on Awards is officially created and named and regular judging begins in New York City shortly thereafter. Additional regional judging centers are created in Miami, Los Angeles, San Francisco, Honolulu and other cities throughout the 1950’s and 1960’s. In 1949 the AOS establishes a Scientific Advisory Board to investigate how the society might sponsor research on orchids. At the urging of the board, the Research Committee is formed in 1952. By 1956 the Research Fund has $100,000, the interest from which is used to fund competitive research proposals. The first World Orchid Conference is held in St. Louis in October, 1954. The first AOS conservation committee, the Committee for Endangered Species, is formed in 1965. Early projects include the Big Thicket in Texas, Hoosier Prairie Project in Indiana and Lankester Gardens in Costa Rica. After 60 years at Harvard University in Massachusetts, the AOS moves to the former residence of Lewis and Varina Vaughn in West Palm Beach, Florida in July 1984. In 1996 the AOS launches its first website, OrchidWeb. Co-edited by Judy White and Jim Watson, it proves a stepping stone for the organization’s presence on the Internet. On March 3, 2001 the AOS moves to a facility in Delray Beach, Florida. 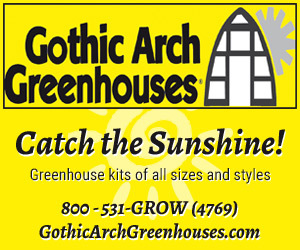 In 2012 the AOS relocates its headquarters to the Fairchild Tropical Botanic Garden, one of the premier gardens in the world, in Coral Gables, Florida. 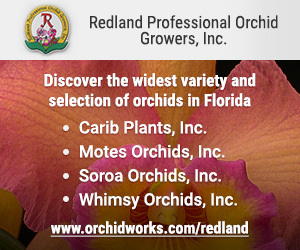 Find vendors of orchid plants, seedlings, supplies, greenhouses, fertilizers, watering equipment, potting mixes, lighting setups and other orchid-related products. 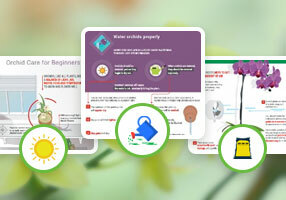 Discover great advice for watering, nutrition, lighting and more. ©2019 American Orchid Society. All rights reserved. To improve your experience, please tell us what you are struggling with most right now? Please tell us about the challenge that brought you to our website today? Enter your email address below so we can send the free guide requested for immediate download.